Play Gorgeous Goddess online for free now! Gorgeous Goddess is played on up to 50 win lines that run across five reels. The Aphrodite symbol pays out the highest winnings. The aim of Gorgeous Goddess is to land five matching symbols side by side and on as many win lines as possible. The winning patterns run from left to right. The Wild symbol (Aphrodite) substitutes for all other symbols except for the Scatter symbol (Golden Harp). Moreover, you have the chance to hit the jackpot with Aphrodite. The Scatter symbol (Golden Harp) counts wherever it appears on the reels, not only on win lines. If three or more appear in a spin, ten free games are triggered. If you land three or more Golden Harps in a single spin, you’ll win ten free games. During thefree games, all of your winnings will be multiplied by five. Moreover, the free games can be prolonged at any time by landing three or more further Golden Harps. The jackpot sum up for grabs is displayed in the top-right corner of the game. This is based on your current stake. 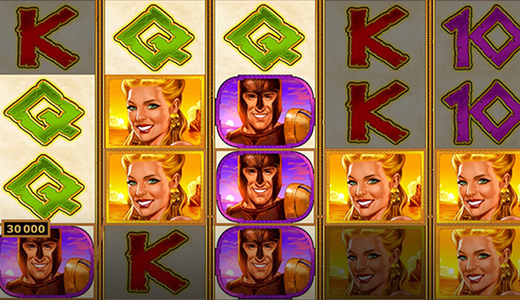 Land 20 Aphrodite symbols in a single spin and the jackpot will be yours! Do you think the Greek gods and the legends surrounding them are just myths? Think again! Play Gorgeous Goddess for a breathtaking journey back to ancient Greece and the time of Zeus. In addition to landing big Twist wins and free games, you have the chance to hit the ultimate jackpot. All you need to do is keep your eyes peeled for the goddess of love Aphrodite, for she will show you the way to untold riches!